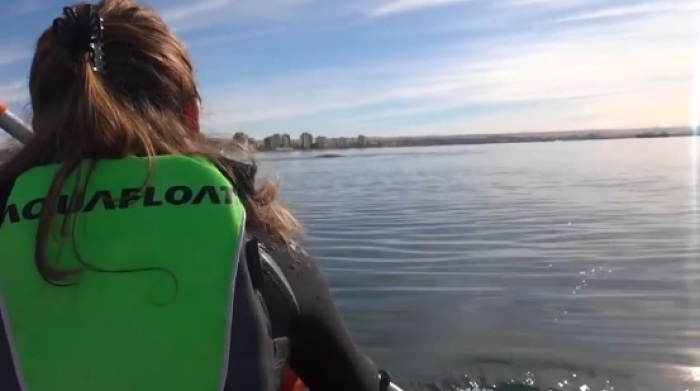 Two kayakers were enjoying a nice day off the coast of Puerto Madryn in Argentina, when suddenly something very rare occurred. They got a huge surprise from a whale, who swam up under them and lifted their kayak above the water. While in the air, everything that happened was being recorded on camera by a man in the kayak.